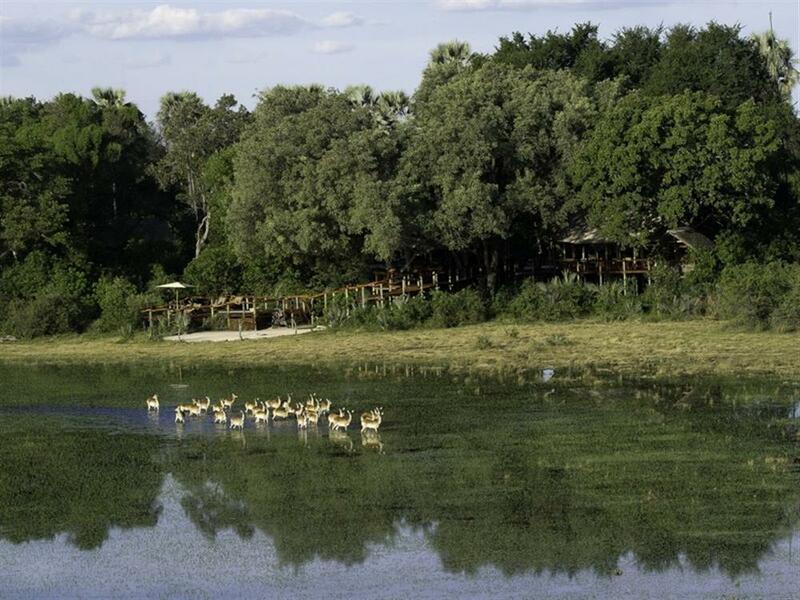 Located on Hunda Island, the largest area of permanently dry land in this region of the Okavango Delta, Tubu Tree Camp is surrounded by the palatable grasses which lure many species of plains game. 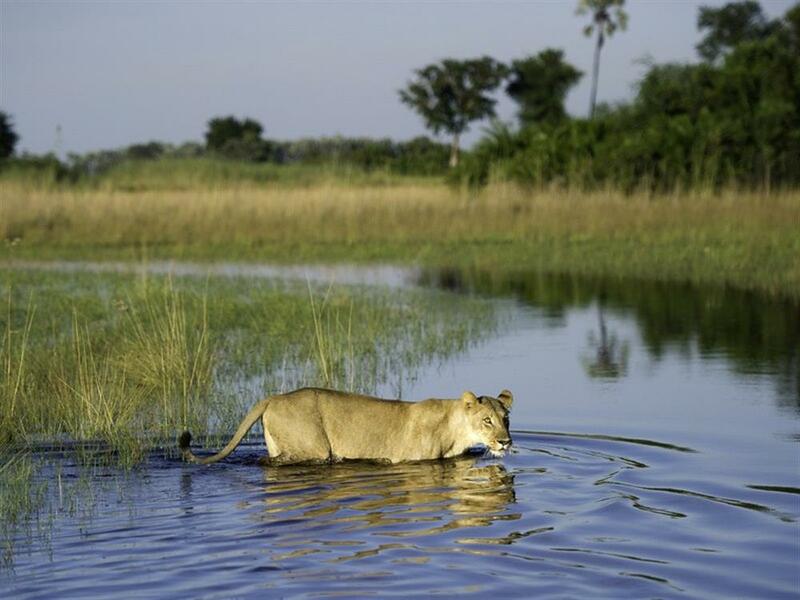 A range of diverse habitats, ranging from dry Kalahari sandveld to mopane and riverine forest on the edge of permanent waterways, also ensures diverse and spectacular game viewing. 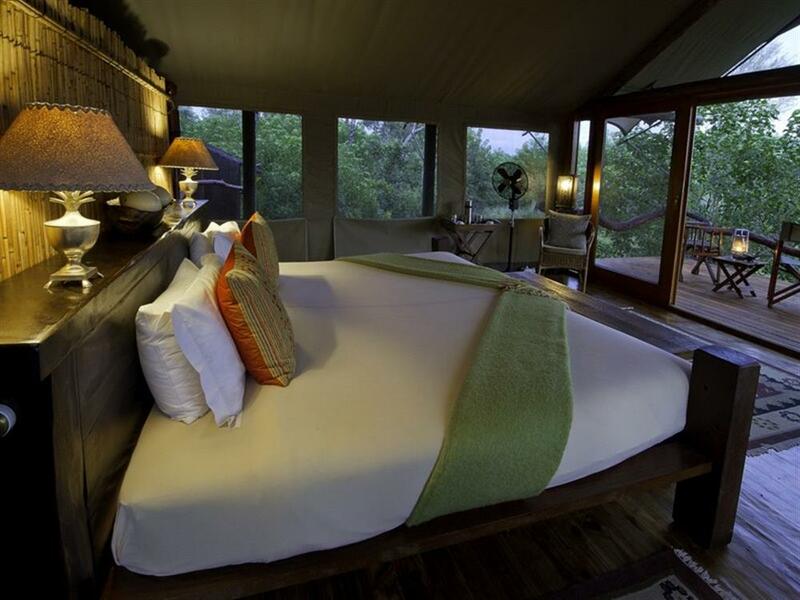 Tubu Tree Camp is built in traditional style, with five tents on raised wooden platforms - each with picturesque vistas of the floodplains from a private front deck. En-suite bathroom facilities and an outdoor shower are standard. The main dining, lounge areas and pool are also on raised platforms and have panoramic views of the plains game. 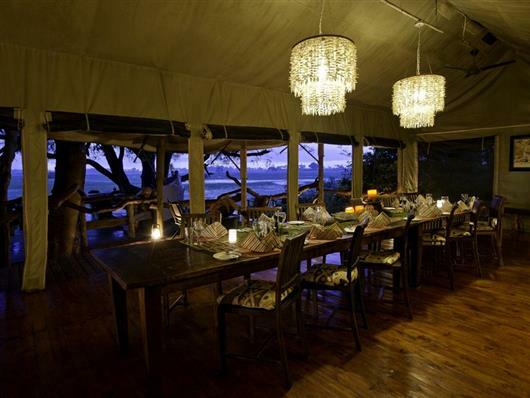 Tubu Tree Camp also has an outdoor pub area which lies under the canopy of a large marula tree. 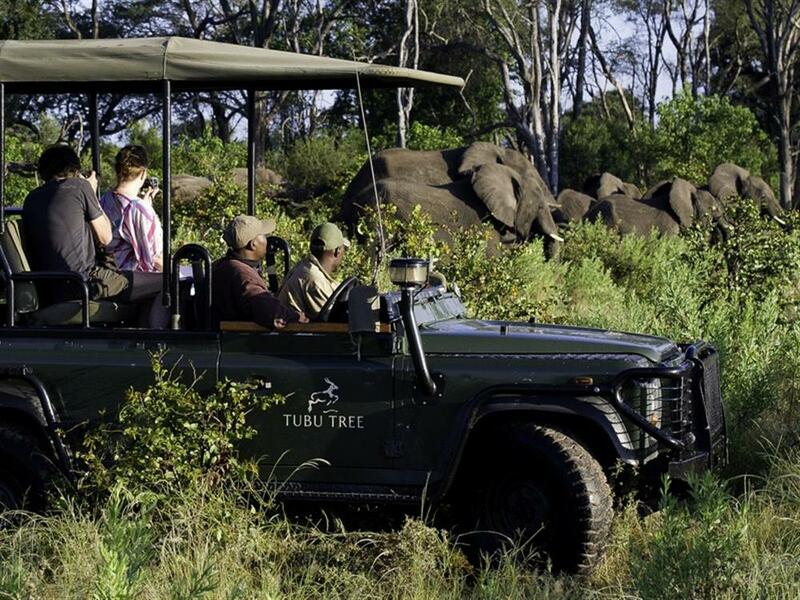 Wildlife seen around Tubu Tree Camp includes elephant, lion, Burchell's zebra, red lechwe, southern giraffe, tsessebe, and blue wildebeest on the floodplains. Kudu, impala, leopard and bushbuck are also seen in the forested areas. The variety of bird life is impressive, with dry-land species seen on the large islands and all the wetland birds seen on the floodplains and waterways. 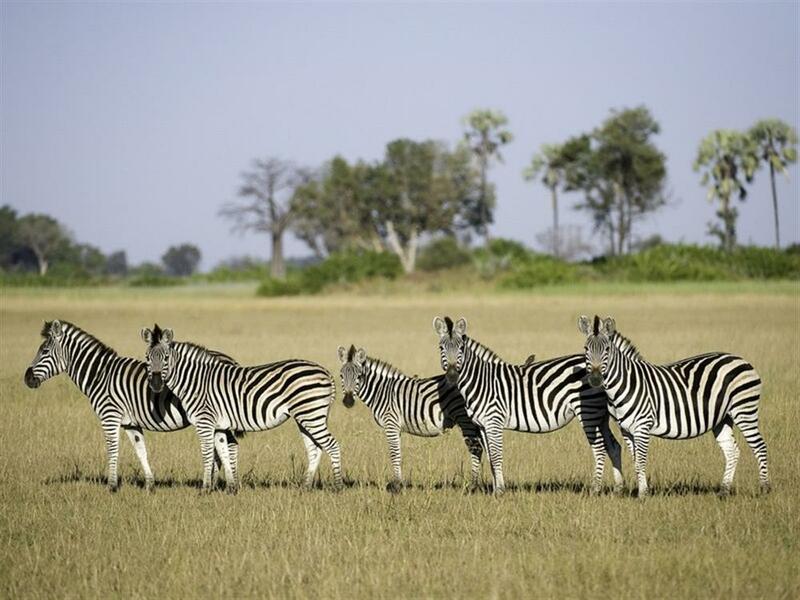 Throughout the year, day and night game drives in open 4x4 vehicles are available, as well as guided walks (which must be requested prior to travel). There are two platform hides in the concession, offering incredible up-close viewing. 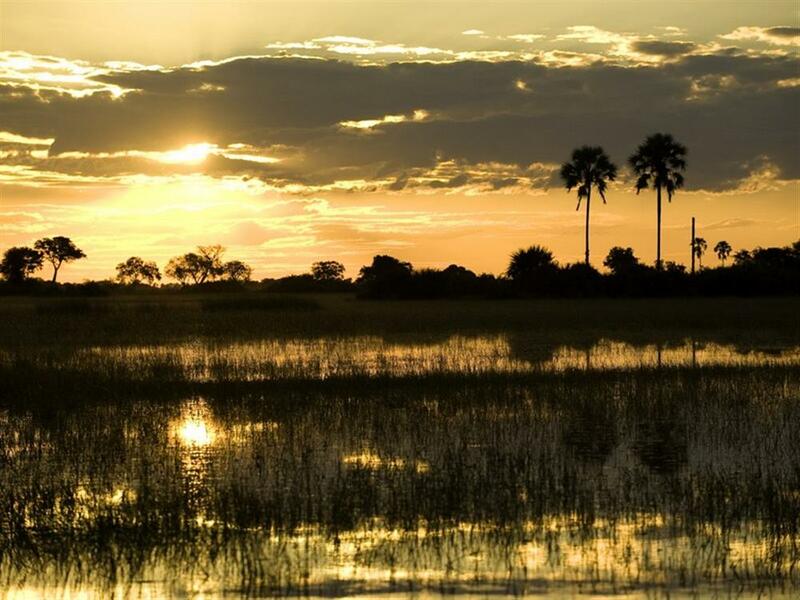 During winter, the water levels around Tubu rise and the floodplains become covered with water (normally May to late September). This allows for a wide range of water activities from boating and fishing to mokoro trips.